Plant based milk. The nutritious milk extracted from nuts and seeds. Simple, right? Wait! Read the label of a typical non-dairy milk container. It’s a battle between the undigestible and unpronounceable. Sugars. Emulsifiers. Preservatives. Additives. Thickeners. Hmmmm. We know what you’re thinking: what happened to the nuts? The nutrition? We thought the same. Our Mylk Bases are changing all of that. Say goodbye to the nasties and dodgy words. Say hello to nutrition and simplicity. It works like this. You need a jar of our Mylk Base. A spoon. Water. A blender. A handful of seconds. Combine. The result; fresh, homemade, creamy non-dairy milk. That’s your part. For our part, we only use the best raw, certified organic ingredients where possible. We ignore the nasties. What we don’t ignore: the environment. One tiny recyclable or reusable jar gets you a mega 10 litres of milk. The maths are simple. One jar reduces landfill by 10 cartons. So if you agree that a healthy body and planet matter, our Mylk Bases will agree with you. Oh. It tastes great, too. 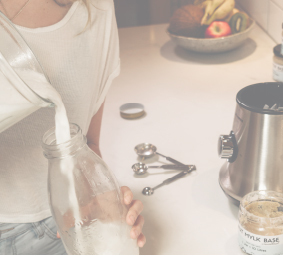 To make milk – simply blend 1.5-2 tbsp (30-40g) of the Mylk Base along with 1000mls (1L) of water, on high, for 1 minute. Transfer to glass jar or bottle, chill then serve! If you would like to make less or more milk, just adjust the quantity of the base to the ratio of water used. 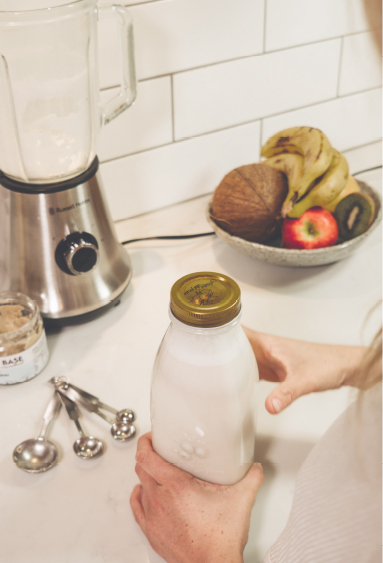 To make a smoothie add a single serve of the Mylk Base, 1 tsp (7.5g), directly to your blender, along with your smoothie ingredients, 250ml water and blend, allowing you to make your milk and smoothie at the same time. raw cashews*, raw almonds*, raw macadamias*, mesquite*, arrowroot*, macrobiotic sea salt. raw almonds**, mesquite*, arrowroot*, macrobiotic sea salt. raw hazelnuts*, arrowroot*, lucuma*, mesquite*, macrobiotic sea salt. WE ARE ALREADY CONSCIOUSLY TRYING TO MINIMISE WASTE IN OUR HOUSEHOLD AND THIS IS SUCH A SIMPLE STEP. So we don't have to feel guilty about buying a carton ever again the milk is delicious it tasted really fresh and doesn't make you feel funny in the tummy like most milks do. The product lasted for days in the fridge and tastes great in my morning oats. :)"
I ALWAYS HAVE WANTED TO MAKE MY OWN NUT MILK AT HOME FOR MY FAMILY. however work and life in general is so busy i never had time. Now using nut mylk i can whisk up a batch in the blender in less than a couple of minutes. I love that it is organic and my daughter loves the taste too. Better than any nut milk i've tried, this one is actually quite rich and creamy and so easy to drink a glass of..and want more. I really liked that there are real sediments of nuts in the milk, showed that this is a really fresh authentic product, like i just made my own nut milk in my blender myself. And didn't curdle in my tea which i loved. Blitzed it with a banana for my daughter and she gobbled it down. Thanks for sharing this incredible product with me." 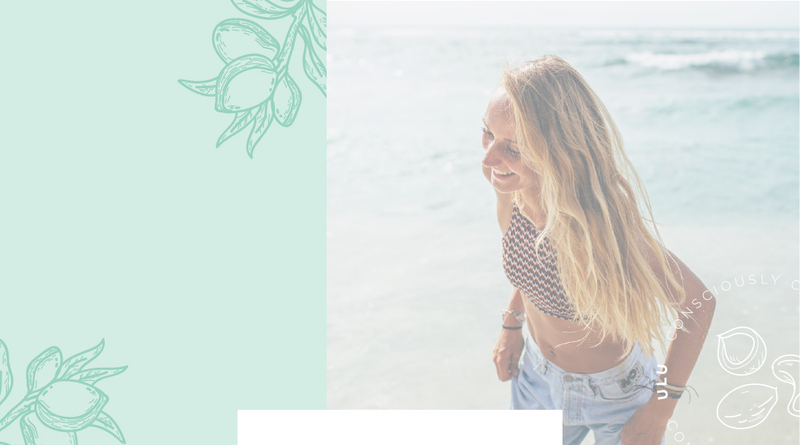 Each product has been carefully crafted using Australian Certified Organic ingredients where possible, with respect for our ecology at the forefront of our processes. How best should I store my Mylk Base jar? 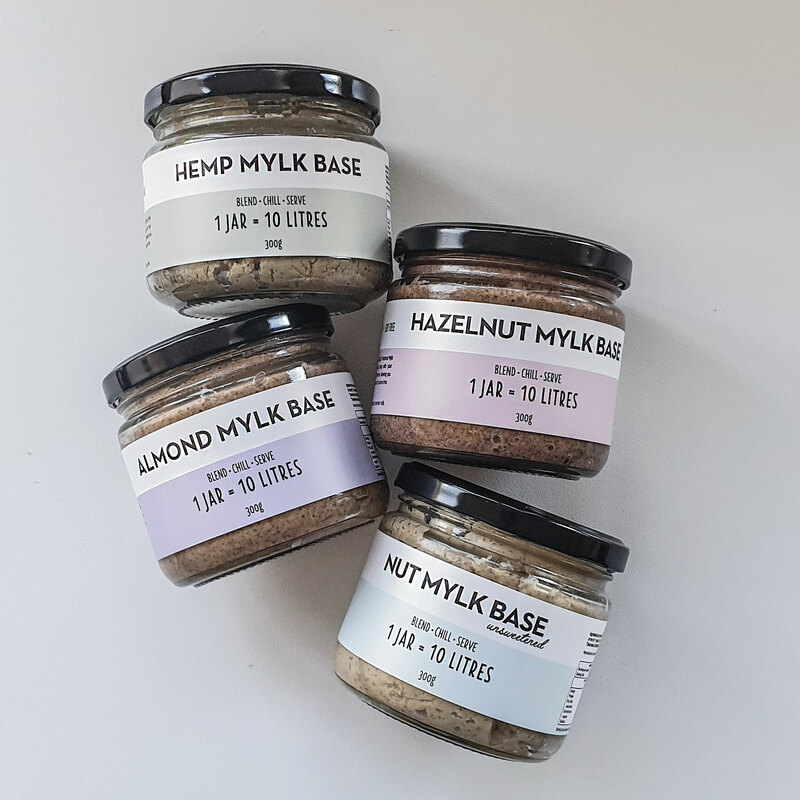 Our Mylk Base jars are fine stored in the pantry, however we recommend to use within 3 months if so. However, to meet the best before date, or you live in a very warm/tropical climate, we advise to store it in the fridge. Do note that storing the jar in the fridge can make the contents harden which can make blending the milk a bit of a challenge if you do not have a high powered blender. 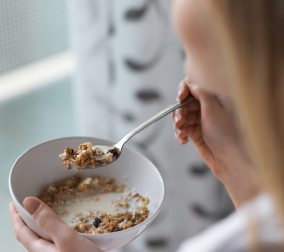 If this is the case, then storing it in the pantry to keep it softer is totally ok. Once you have made your milk, pop it in the fridge as it is best served chilled when it has had to time to thicken up. How long does the milk, once made, last for? Approx. 3-4 days, shaking before pouring as natural separation may occur. I don't want to make 1 litre of milk, can i make less? Of course! The beauty of this product is that you can make what you need, when you need. If you know you only use 500ml of milk in a few days, then just adjust the quantity of your Mylk Base to the amount of water. Should I shake my milk before pouring? Always give your milk a good shake before use. Separation is normal because we don’t use emulsifiers in our product. Once the jar is opened, how long will it last? Each jar has a best before date listed on the jar, please refer to this. 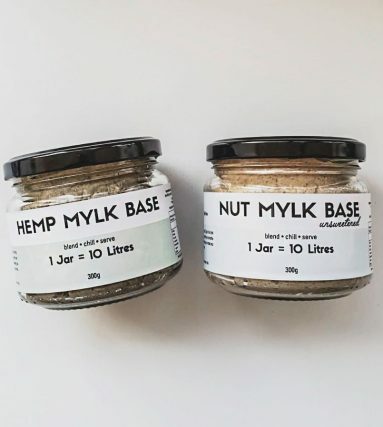 This is a guide only due to the fact that each person using our Mylk Bases will store and keep their jar differently. For example, keeping the lid off the jar for long periods of time, or storing your jar in the pantry when living in a warm and/or tropical climate, all may reduce the longevity of the product. To reduce the risk of contamination, we do advise to consume the jar within 3 months of opening. How can I tell if my milk has gone bad? 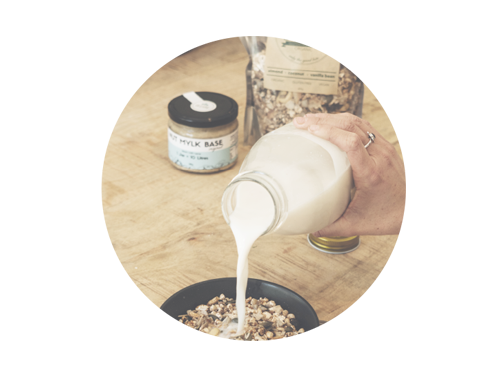 It is perfectly normal for the contents of the milk to settle which is why we recommend to give the jar/bottle a good shake before pouring. If, however, your milk is no longer white, smells a bit funny or has gone a little slimy, then it’s time to chuck it and make a fresh batch. Can the milk be heated? Yes, our milks are safe to heat and cook with and are perfect for baking and making desserts! Are all ingredients in your products certified organic? The * noted next to each ingredient indicates it is Australian Certified Organic. Can I freeze Ulu Hye products? Although freezing does not affect the safety or nutritional content we do not recommend it as the texture can change once thawed. What is arrowroot and why is it in here? Arrowroot comes from plants. It is a starch and is a much better option in cooking than corn starch which can come from genetically modified sources. Not only does arrowroot make our Nut Mylk Base thick and creamy, it also possesses some great health benefits. Arrowroot is the highest in protein out of all starches and flours. It is also high in zinc, iron, magnesium and phosphorus and fibre. It may help balance pH levels, improve circulation, assist in lowering cholesterol and increase satiety which may help in weight management. Mesquite is high in minerals and has a low glycemic index (GI). Mesquite is basically the whole pods ground up, so it is naturally high in fibre too. It fills you up, balances your blood sugars and we thought this was a great addition! Get your Nut Mylk today!